BioCBD+ has a mission to provide high-quality Cannabidiol (CBD) with Ayurvedic herb supplements at affordable prices. Over 30 years of research and development has gone into creating their products. 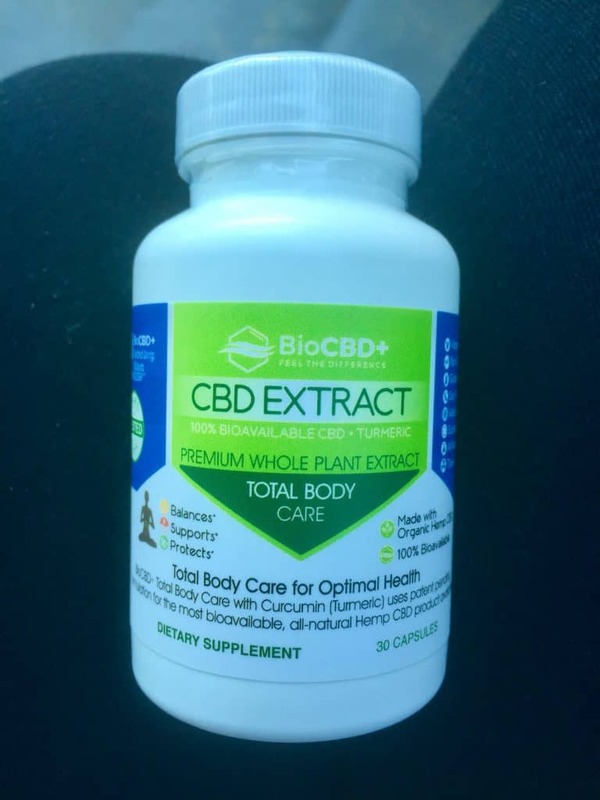 Everything they sell is water-soluble, which makes them 5-10x more bioavailable so that the CBD is more easily transported throughout your body. 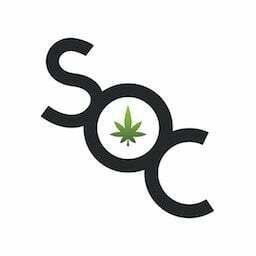 The company also uses full-spectrum hemp-derived CBD oil, so the customers get the synergistic benefits of a variety of cannabinoids and terpenes. The company is committed to delivering products to anyone, despite their financial circumstances, so they have developed a scholarship and a donation program in order to provide their products to those in need. All their hemp is organically grown in Scandinavia. 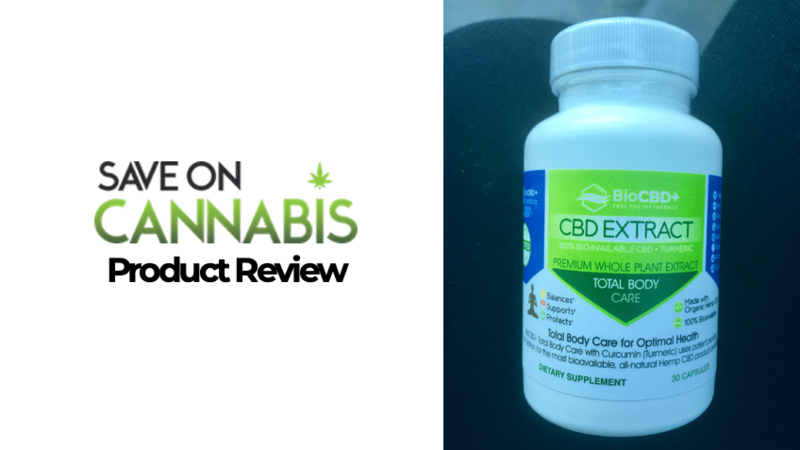 The BioCBD+ Total Body Care Capsules are a daily supplement of whole-plant CBD extract with a full-spectrum of cannabinoids and terpenes, curcumin, and magnesium. This daily wellness formula fights inflammation, stress, pain, and supports bone and heart health. Using fancy-pants nanotechnology, the ingredients are transformed into tiny particles that are more easily transported throughout the body. Suggested Use: Start with one capsule daily and increase to six capsules per day. When desired results are achieved, gradually reduce daily amount. It’s the most wonderful time of the year. I love Christmas music, eggnog lattes at Starbucks, getting silly Hanukkah gifts from my sister, and seeing my little nieces and nephews at holiday parties. Because of my chronic pain, I do not love the 2-hour car rides to get to the cousin’s house in San Diego, the 2.5-hour car ride to get to mom’s place in the mountains, or the plane flight to get to aunt and uncle’s farm. Sitting for over 30 minutes aggravates my lower back injuries and sends nerve pain down into my hips and legs. If I sit for too long, I pay for it the next day. While I love so much about the holidays, I become generally anxious about the traveling and knowing that I’ll be dealing with my chronic pain. In preparation for holiday traveling, I decided to start a daily regimen of the BioCBD+ Total Body Care Capsules. 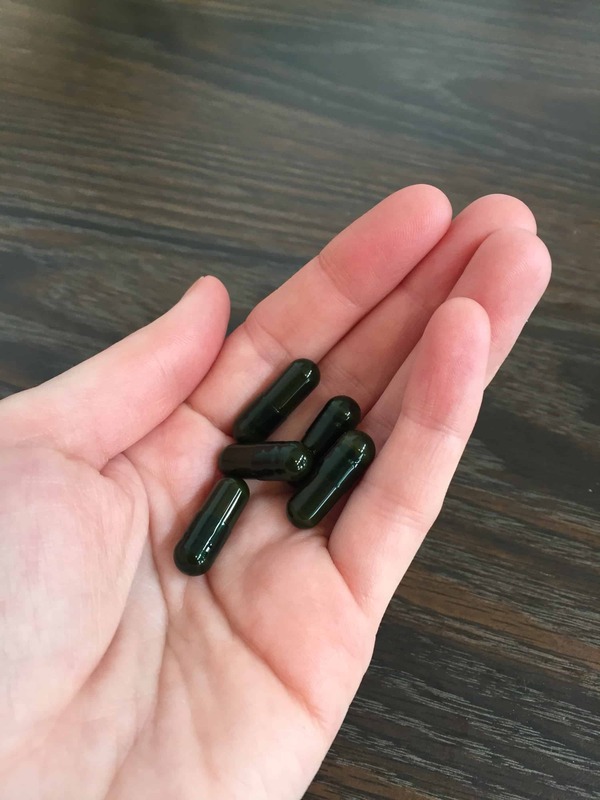 These capsules contain CBD and curcumin which have been shown to help with pain and inflammation. Curcumin has been used for centuries as a mood elevator. Per the instructions, I started with one capsule and increased the dosage by one capsule every day until I was taking six capsules. I took the capsules on a full stomach because taking herbal capsules in the past has made me nauseated. On days that I needed travel, my plan was to add a quarter of a Hybrid Cheeba Chew to this regimen. Cheeba Chews are a THC-infused edible that has my favorite for counteracting pain. After a few days of taking the capsules, I started feeling the benefits of the formula. I felt a nice sense of calm that I often get with effective CBD products. The cold weather has been aggravating my pain, but since taking the capsules, I’ve noticed that it isn’t as bad as it has been, allowing me to be more active. If I can be more active, I can do more of my physical therapy. If I can do more physical therapy, I get stronger. And as I get stronger, I can do longer car-rides without as much aggravation. So, the positive trickle-down effect of taking capsules has been great. I had been taking the capsules for about a week when the time came for the 2-hour car ride to my cousin’s house for Thanksgiving. Last year, I skipped Thanksgiving travel all-together because the pain was too great. This year, however, armed with a quarter of a Cheeba Chew and my daily dose of the Total Body Care Capsules, I got to participate in Thanksgiving. I will definitely continue to take the capsules throughout the holiday season. I think they made me feel overall better in my mind and body. Adding a touch of THC was a really effective way to combat my chronic pain too. 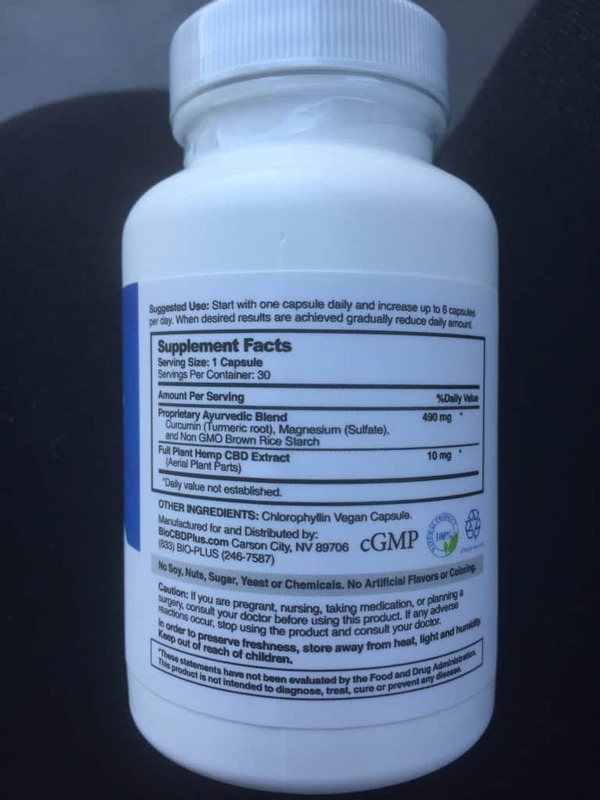 The BioCBD+ blend of Ayurvedic herbs makes it a unique amongst CBD supplements on the market. But what the heck are Ayurvedic herbs? Practitioners of Ayurveda use specific herbs (many that are used in popular Indian food dishes) to heal, combat disease and maintain overall health. The curcumin in the BioCBD+ capsules, for example, has long been used to fight inflammation. A daily dose of curcumin has been known to increase overall physical health and help stave off certain diseases like cancer. In the next sections we validate our ratings that show as gradings from 0-100 on our review, so we go category by category that we rate in our “Product Options” section shown above. Please note that these grades add up to give the product’s overall score. Easy to use daily capsule. 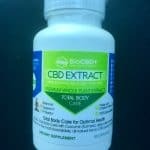 BioCbd makes a unique product in that they use high quality, full-spectrum CBD with a mix of Ayurvedic herbs. While the bottle of thirty capsules is pricey, especially since you’re instructed to taper up to six pills a day, there are no other products like it on the market. 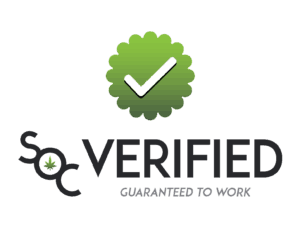 Save money with CBD capsules here at Save On Cannabis the World’s largest online cannabis coupon code directory.